The Monday after the coldest Thanksgiving in New York City in 147 years, it was a balmy 51 degrees in the city and raining. 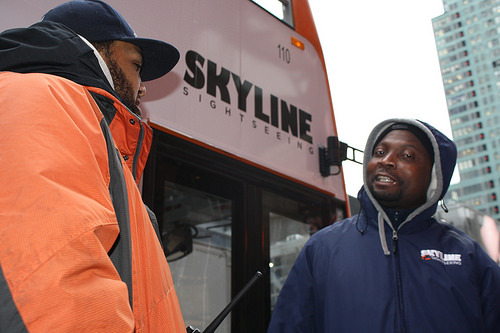 Despite the city’s effort to get into the holiday spirit, the rainy weather is putting a damper on the start of the season. The National Weather Service predicts a warmer winter than usual. The Farmer’s Almanac predicts intense cold in 2019. They both note that it is normal to have a mild winter punctuated by periods of colder weather. It seems the swings between between 15 and 50 degrees can be expected to continue on the East Coast. 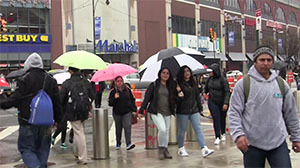 Recent New York City transplant, Christa Vaeth said that winters used to be more consistent during her Upstate New York childhood, but now the weather was getting more unpredictable. On Black Friday, the Trump Administration released a report about the effects of climate change in the United States. The findings suggest that changes in local climates can already be felt. They predicted an impact on communities that rely on winter tourism in the Northeast due to less snow and warmer temperatures. It will also impact already vulnerable populations disproportionately. 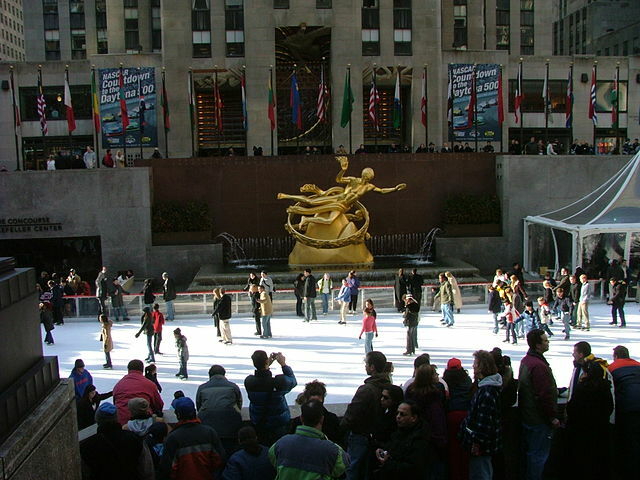 Although New York’s status as a tourist destination is not contingent on the weather, New York City is marketed for winter tourism. From the holiday markets to the Radio City Rockettes Christmas Spectacular to countless performances of the Nutcracker and ice skating in Rockefeller Center, people come for the ambiance. Anna Bolstad came all the way from Norway for it, to celebrate her mom’s birthday. “She wanted to see the city with all the Christmas lights,” Bolstad said. 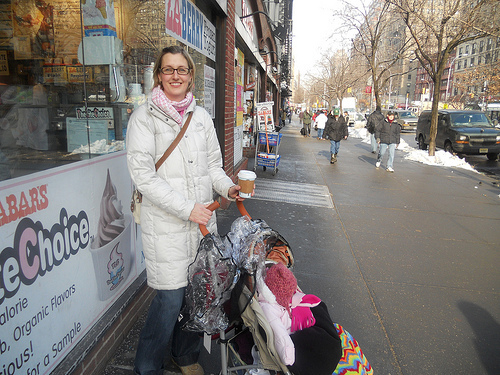 New Yorkers also have a specific vision of New York in the winter. It’s a little different than the 51 degrees they are currently experiencing. Gorg said her favorite New York City winter activity is walking in Central Park. “I like to look at the snow and the sunsets are really nice with the trees being bare,” she said. Despite the back and forth between snow and rain and dipping temperatures, Lahey still enjoys the winter in the city.